What is Do-It-Yourself (DIY) Home Automation? Home Automation is automating the control of your home so it works for you, adding convenience and making your life easier, even while saving energy! It can be as basic as dimming lights with a remote control or as complex as setting up a network of items in your home (such as a thermostat, security system, lighting and appliances) that can be programmed using a main controller or even with your cell phone from anywhere in the world! It is now possible, using wireless home automation devices with state-of-the-art Z-Wave technology, to control every aspect of your home environment without installing a single wire. The definition and capabilities of home automation have changed considerably over the years. Three decades ago, when home automation was rarely thought of by most people, consumers were promised “the home of the future.” Home automation was known primarily to X10 enthusiasts and was installed by professionals in luxury homes. 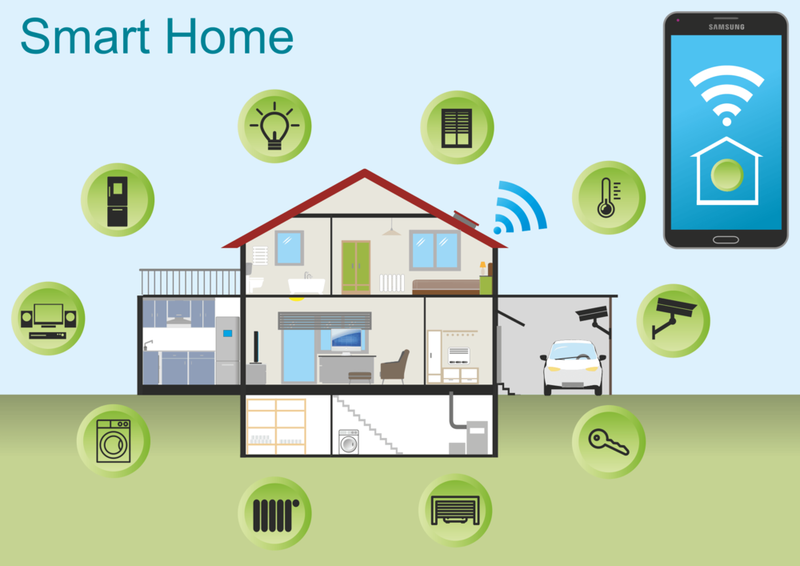 Make your home a ‘Smart Home’ and it will do the work for you! Expert advice and system design by companies like Hometron can give you a blueprint and provide information about available products. The numerous benefits of today’s home automation solutions include: safety and security, energy savings, money savings, convenience and control. It can also improve the daily life of seniors and the disabled by offering voice control and safety items.